Planning a party? 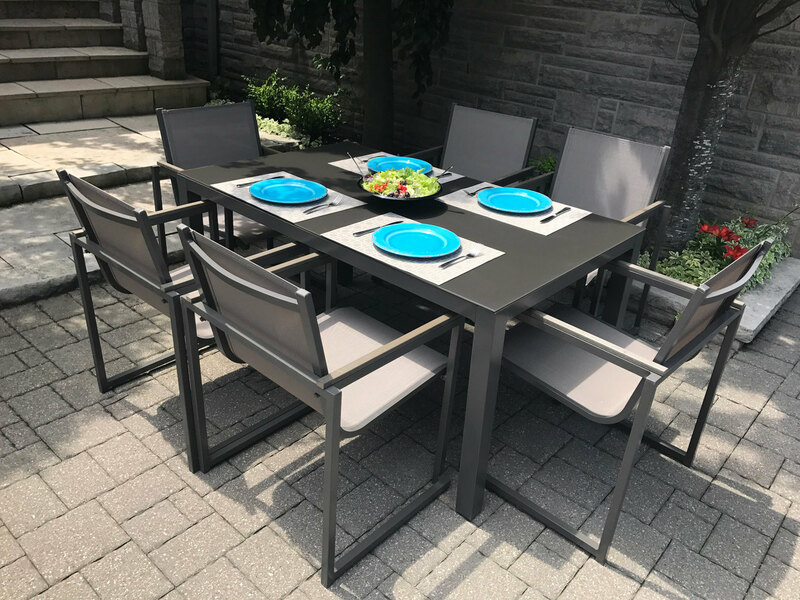 Make sure your guests are seated comfortably on your patio with the Park Place Aluminum Dining Collection. Designed for patio dining or poolside use, these practical chairs have a relaxed, modern style that'll fit almost any outdoor setting. Their durable aluminum frames are powder coated and coordinate perfectly with the textilene sling fabric. . This tone-on-tone, taupe collection can mix with any décor. Smaller size makes it perfect for Condo Living! Product Dimension: W37" x L71" x H30" Shipping Dimension: 39" x 75" x4"